Mall owners Knoxville Partners LLC is behind in paying city and county property taxes. It also faces liens from an Alabama landscaper hired to tend to the site, records show. 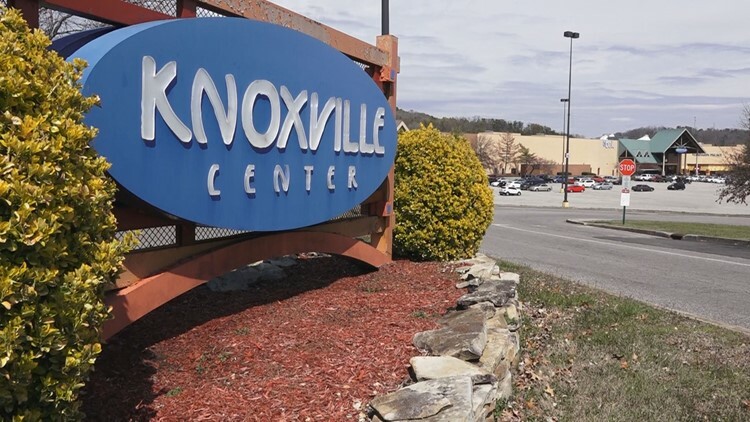 Knoxville — Owners of the struggling Knoxville Center mall haven't paid city or county property taxes in the nearly two years they've owned the sprawling property and now face delinquent bills of more than $600,000. Additionally, Knoxville Partners LLC faces mechanics liens totaling $70,000 filed by a Birmingham, Ala., landscaping company hired to spiff up the 50-some acre site. Landscape Workshop alleges it hasn't been paid for work it did from late November 2016 through March 2017, documents show. The city and county have filed notices alerting owner Knoxville Partners LLC that it is behind on 2016 and 2017 taxes, records show. Knox County Trustee Ed Shouse said his office has been notified by the registered agent that the bills will be paid in October. "They haven’t paid the 2016 or 2017 property taxes," said Shouse, adding they have not paid any property taxes since they bought the property in 2016. "It appears that they have not. Since they have been the owners, which has been slightly under two years." Shouse said when commercial property owners fall behind on taxes it's often a sign they're in distress. "I’m not a real estate expert, but it’s fairly common among distressed properties," said Shouse. "I don’t know if this is necessarily distressed." The developments come as the mall, which opened in 1984, continues to lose tenants. Gold's Gym closed Wednesday, and Knox County Schools' Paul L. Kelley Volunteer Academy, which has occupied some 6,400 square feet since 2010, is moving out this summer. Efforts to reach mall owner principals and agents were unsuccessful. Knoxville Partners, including developer Brant Enderle, bought the site in August 2016 for about $10 million, about a third of its appraised value. Knoxville Center, formerly called East Towne Mall, is located near Interstate 640 and Millertown Pike. Big-box stores there include Sears and Belk. Dillard's closed 10 years ago. Regal Cinemas also is a longtime tenant. While the mall was sometimes viewed as a more convenient option over West Town Mall on Kingston Pike, it has lost tenants over the past 15 years. Malls in general face increasing competition from online retail sales. On many days the only people who can be seen at Knoxville Center are workers and walkers. "It used to be the fastest growing part of Knoxville and the growing part has slowed down quite a bit," said Ronnie Collins, the President of the Alice Bell Spring Hill Neighborhood Association. "Stores that have been here a long time have closed up and moved on." 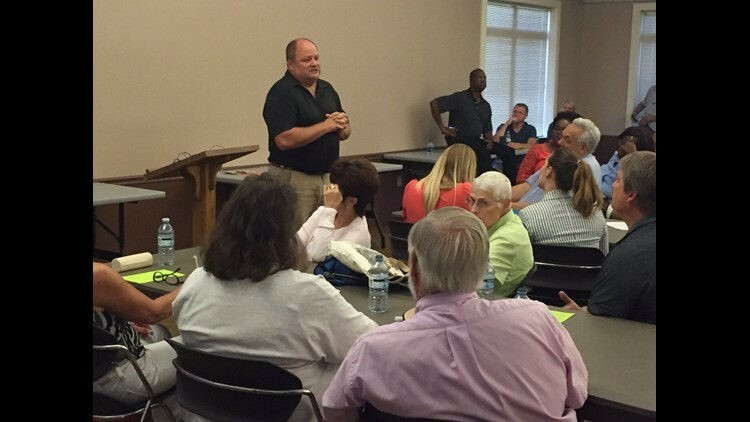 In September 2016, soon after the limited liability company acquired the site, Enderle told a community meeting of about 150 people that the new owners had hopes of creating a thriving retail and residential hub for the eastern part of Knox County that would include walking trails, specialty shops, restaurants and outside entertainment. Little of that has happened. Landscapers came in and worked for a few months, records show. But they've not been paid for their work, records state. Enderle is listed as manager of Knoxville Partners LLC, which is identified as being located at 312 S. Gay St. SKM Holdings LLC, which owns the abandoned Standard Knitting Mill site in East Knoxville, also has listed headquarters at 312 S. Gay St.
Another entity called Wallace & Henry also shows 312 S. Gay as its address. Wallace & Henry was a backer of the local Saw Works Brewing Co., which faltered and closed last year. The brewer's website states it plans to "open new locations" in 2018. Enderle told area residents in 2016 that investors were seeking new tenants to fill the commercial space. 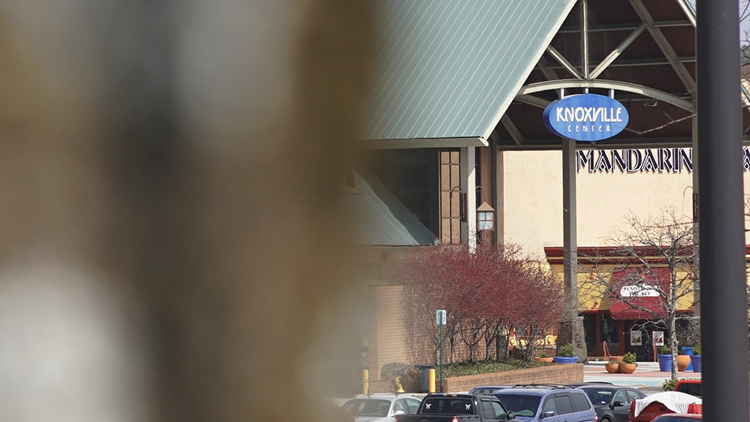 Originally opened as East Towne Mall in 1984, the complex later became known as Knoxville Center. Records show taxes as well as interest and penalties of $313,716 are due to the city on the mall along with about $44,000 on two outlying sites. County trustee records state Knoxville Partners owes about $265,000 combined for the same parcels. The county sends out three notices a year when taxes are owed, according to the Trustee's Office. The mall is near the top of commercial sites in the county with the biggest overdue bills, according to Trustee records. The county imposes an interest rate of 18 percent on overdue taxes; the city imposes an interest rate of 24 percent on overdue taxes. Penalties and interest accrue as time goes by. SKM, another LLC with ties to Enderle, owns Standard Knitting, a long shuttered plant on Washington Avenue. City and county tax forms state 2017 taxes have not been paid for the site. SKM owes $12,115 in city taxes and penalties and $10,277 in county taxes and penalties. A lien was filed this week on the property, records show. The mill property was acquired by SKM Holdings in December 2012 for $550,000, according to Knox County property records. SKM Holdings is associated with Henry & Wallace. An affiliated company of Henry & Wallace, C3 Studio LLC, lists the Standard Knitting Mill as one of its projects. C3 Studio's website calls for the 400,000-square-foot building to be re-purposed as a community center with paces for art studios, a tech lab, concert hall and event space. 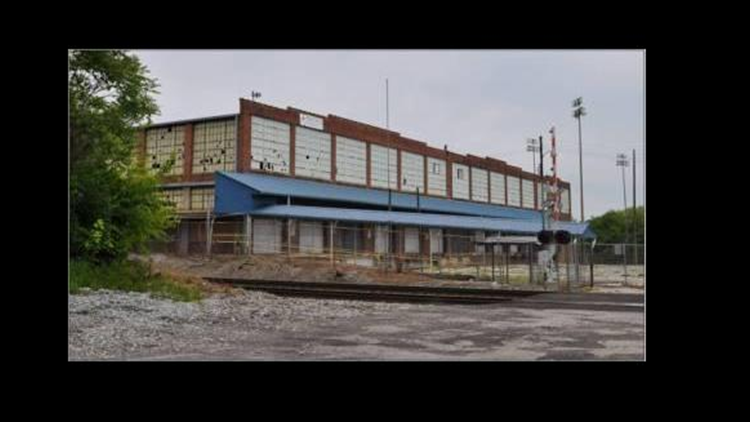 In January, the Knoxville City Council approved a resolution authorizing a permanent access and utilities easement agreement between the city and SKM Holdings to access the Standard Knitting Mill site from Jessamine Street for a mixed-use redevelopment project. The former Standard Knitting Mill on Washington Avenue. 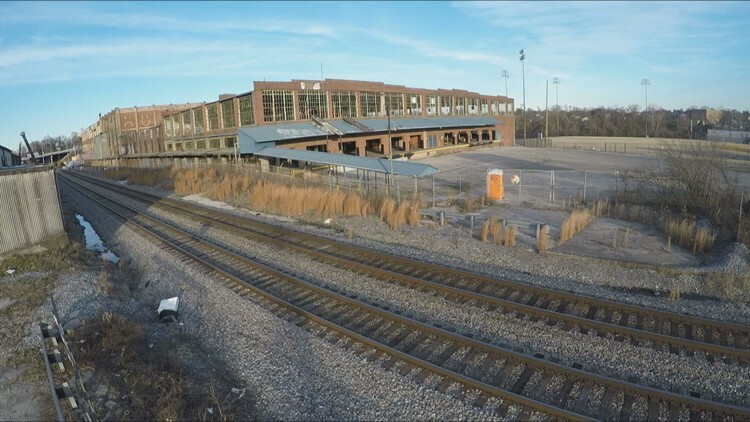 The city granted the "permanent and practical access easement for the immediate redevelopment of the SKM Property," according to the agreement. City Council members noted then that the agreement was a sign of better things to come for the immediate Parkridge community as well as East Knoxville. According to the lien, on file with the Knox County Register of Deeds Office, Trojan Labor of Nashville is owed $8,690 by SKM for unpaid work at the mill site. The lien was signed in April in Davidson County and received this week in the Register of Deeds Office, records show.